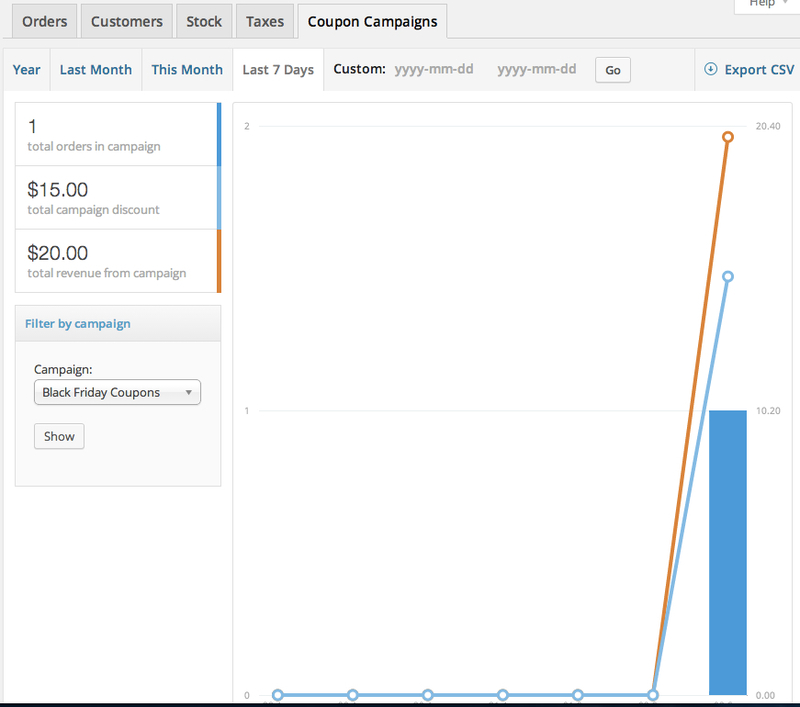 WooCommerce Coupon Campaigns Extension: allows you to measure the impact of your coupons within your market. The Coupon Campaigns extension for WooCommerce is designed to help you measure the impact your coupons make within your market. Whether you’re sending out a batch of coupons to an event your company is sponsoring, or are running a particular kind of promotion once a month on a variety of products, Coupon Campaigns makes tracking of these campaigns a breeze.